The Aspire Atlantis has changed the world “sub-ohm” vaping… making it possible for almost anyone to vape high-powered setups and generate massive clouds. With a variety of different upgrades and add-on components now available, these metal Atlantis replacement tanks are designed to give your setup a bit more flair, while increasing it’s durability at the same time. 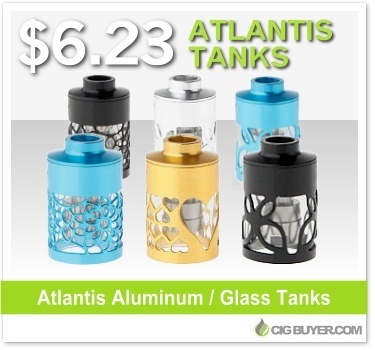 Made from glass with an aluminum outer casing, they not only look great but could prevent accidental tank breaks.